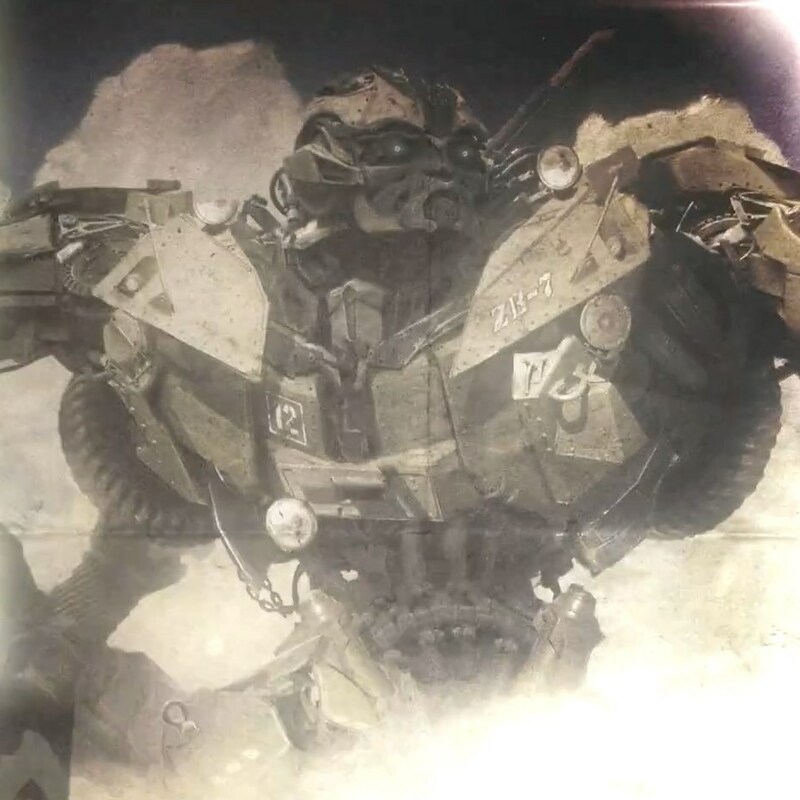 2005 Boards Member and supersleuth Nevermore has discovered further confirmation to the existence of Transformers: The Last Knight Voyager Class Bumblebee. Thanks to several Toys”R”Us UK listings, we now have a solid proof if there was any doubt about the entry on Amazon in the first place. [T]he Voyager Class would start at TRUP2459650001, which is a blank listing, but in the header it says “Tf5 Premier Voyager Ast”. So that listing is for the assortment in general. It works like this for every assortment. The next sequential number is TRUP2459650002, which is the listing for Optimus Prime. Next comes TRUP2459650003, aka Grimlock. Then comes TRUP2459650004, which is the the first wave 2 figure, Megatron. 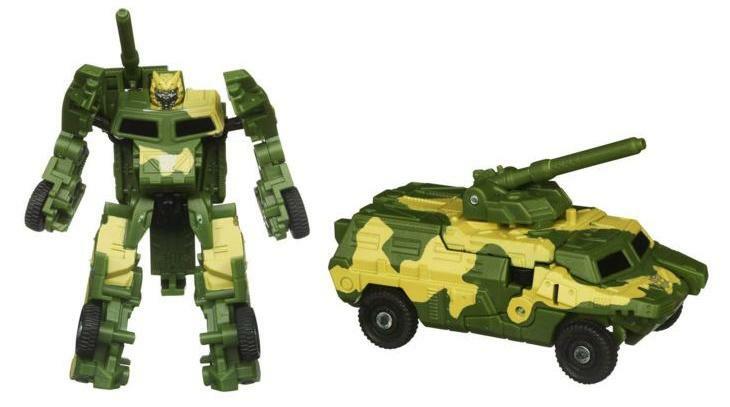 The second wave 2 figure, Autobot Hound, has a thus far still blank listing at TRUP2459650005, but again, if you check the header, it says “Tf5 Premier Voyager Ast Autobot Hound”. Now comes the big one. TRUP2459650006 is also still a blank listing, but the header clearly says “Tf5 Premier Voyager Ast Bumblebee“. Naturally, the next one, TRUP2459650007 is “Tf5 Premier Voyager Ast Scorn”, the wave 3 figure shown at Toy Fair. Right now this is where even TRU’s “blank” listings end. Big Bad Toy Store and TFSource are listing Voyager Class wave 3 for preorder, and it's Scorn and Nitro. Entertainment Earth is listing Voyager Class wave 3 for preorder, and it's Scorn and "Gamma Beam Grey", the code name for the figure listed as "Bumblebee" by Amazon Spain and Toys"R"Us UK. He honestly looks pretty derpy and not that great. Its probably just these pictures though since the other pictures made him look awesome. …whereas "Gamma Beam Grey" (aka "Bumblebee" from Amazon Spain) is still listed under his working name and has no images. … and both have Grimlock's description. I'm going to call you out with the same question when they are potentially revealed in a few days. Can that future question be something like, Still think Wave 4 is a no go or maybe still doubting me about the future of TLK toy line? Well, Voyager Nitro is actually in Wave 3 with Scorn. What do you guys have to say about Leader Class Dragonstorm and Voyager Bumblebee now? Maybe the writers watched PRiD? Of course Hot Rod (who was inexplicably named Smokescreen, but in all other ways was clearly Hot Rod) almost became Prime there as well. I just wish they would just get it over with and reveal them. There is literally no way Hasbro would ever allow Rodimus Prime to ever appear in anything main stream. If there's a new prime, it'll be Bumblebee dude. I really hope you are being sarcastic. EDIT: They are clearly okay with him denouncing his title of Prime. I mean we all know he will be in the next one, but still. I love it. It has been confirmed that there will be a new prime at the end of the movie, and everyone assumes it's Bumblebee because he's popular or he getting a prequel movie. Nobody ever suspects that it could be that other guy. You know, this one. View attachment 27724183 The guy who became a Prime in that other movie where a giant planet eating monster terrorized everybody, and also later faced off against the Quintesson threat. Bay may change everything, but I don't think he choose Optimus's successor to appear in movie with a similar plot, only for Prime to be succeeded by someone else.. Your implication — that it must be true because lots of people are talking about it — is absurd in light of what we know. Negative, the reason I think it might be true is because what is said in those videos do create some validity. If nothing else I willing to leason to an opossinting point of view and try to understand it. It is really so obsurd. We know there is going to be a voyager class figure of bumblebee, it will need to be something special because they are already doing 2 deluxe and a MP figure, for some reason they felt they had to keep it a secret so it may have something to do with the plot, there is a huge push in this movie to connect TFS with knights, part swaping it not new to the TF movie series, we know there is a battle between bumblebee and optimus, and we know that Optimus will not be the good guy in this fight. At the very least there has been a ton of speculation ever since the movie news started that bumblebee would become the new prime. What's the difference between a legitimate rumor and an illegitimate rumor? The source, and who is repeating the rumor. As has been mentioned, this "rumor" originated as speculation on a clickbait website based off one photo of a cardboard standee at Toys R Us. Knowing that, that the idea is being repeated all over YouTube is curious but has no bearing at all on its validity. Your implication — that it must be true because lots of people are talking about it — is absurd in light of what we know. Yea it was from a clickbait site and the writer of that article was in such a hurry to get them clicks they didn't realize that what they thought was new armor was really just reflective lighting…. Ah but you know the internet. They'll come up with the excuse that even if it isn't depicted on the artwork the very theory was derived from, the artist was clearly wrong and it was intended. That wasn't a rumour at all. A website posted some ludicrous speculation that Optimus would beat Bumblebee and rebuild himself with Bee's parts, because they misinterpreted Prime's gold bits (which have been there since AOE) as being yellow. Now you (or somebody else) seem to have somehow reversed that nonsense speculation, so Prime and Bee's places in it are switched. Needless to say, it's not something that's going to happen in the film. I never saw any web site about this and at first i did believe it either but the rumor is picking up speed which is how I heard about it. You should check youtube, there is more then one video about this subject. I also said it was a rumor. I don't know any more then you do, the difference is I willing to admit it. What's the difference between a legitimate rumor and an illegitimate rumor? Nothing, there are all just rumors. Rumors are created with little pieces of fact and a lot of conjecture. Sorry I tried to add to the conversation, sorry I took the time to point out it was a rumor, sorry I put in a spoiler quote so if you didn't want to read it you didn't have to, sorry I waste my time posting on this thread. Sorry you're trying to make us look like a bad guy. The difference between a legitimate rumor and an illegitimate rumor is whether or not it sounds rational at all.